Antique 19thc Oil Painting Of A Terrier On Board. English. C1860-80. 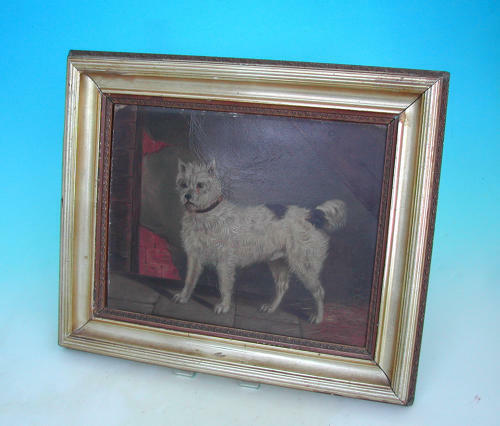 A well painted picture of a terrier dog, painted in the "primative" style with good definition and colour...the picture is in oil painted on board with no signature and it still retains the original frame. Some minor craquelure caused by aging and drying out relative to its age....always good to see on pictures of this age.